Li Na comes off like a stand-up comic, though you’re never quite sure if she’s trying to be funny or if it just comes off that way accidentally with her blunt honesty. She speaks her mind. But she stood on the court Saturday after winning the Australian Open and gave her joking/truths over the p.a., thanking her agent for making “me rich’’ and then her husband, Shan Jiang, for all he has done. Tennis was so lucky to find her, and was lucky to still have her Saturday. The U.S. mainstream sports fan doesn’t even know who Li is, but she is women’s tennis’ greatest selling point. She might be the most important person in the women’s game, and is definitely the most important one not named Williams. Li is the only Chinese player ever to win a major. Now she has won two, beating Dominika Cibulkova 7-6 (7-3), 6-0 just nine months after considering retirement rather than continuing to do endure heavy criticism from Chinese media over her falling results. Her coach talked her into sticking around another month just to see how things went at last year’s Wimbledon. They went well, so she hung around for the U.S. Open. That’s how close tennis was to losing her. I can’t wait to see what the TV ratings were for Saturday’s match. Think worldwide. Think hundreds of millions. Think: Super Bowl-like. 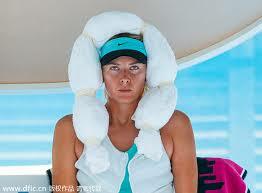 When Li won the 2011 French Open, according to TV ratings, 116 million people watched in China. A week later, 106 million watched the Super Bowl in the U.S. I know it sounds as if a punchline is coming; there are a lot more people in China than in the U.S. 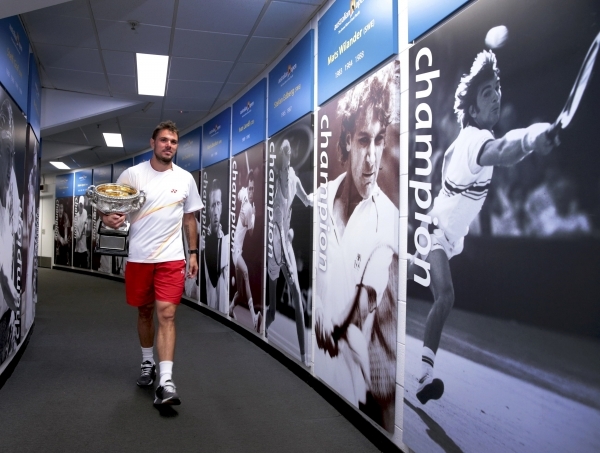 But with so many sports looking to find a way to crack China, seeing it as an under-tapped massive population with a strong economy, tennis has already been trying to ride Li’s success since 2011. It was trying before that, too, without much luck. Take all the people who watched Game 5 of the NBA Finals with LeBron and Dwyane and Dirk, and add to that the people who watched the NCAA Championship Game between Butler and UConn. From there, add everyone who watched The Decision. Plus Kobe Bryant and the Lakers playing Game 7 in the NBA Finals last year against Boston. Plus all of the first four games in the Stanley Cup finals this year. Heck, throw in everyone who watched the American Idol finale. It adds up to fewer people than watched the French Open women’s singles tennis final last Saturday. No, not in the U.S., where just under two million watched the match. 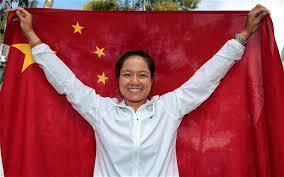 In China, 116 million people watched Li Na become the first Chinese major singles champ, beating Francesca Schiavone. But this isn’t to report the ratings, which came out a week ago. Instead it’s about what these numbers mean to American sensibilities. Be honest: We think of ourselves as the center of the sports world. But Game 5 of this year’s NBA Finals drew 12.9 million viewers. Nine times that many people watched Li in China.